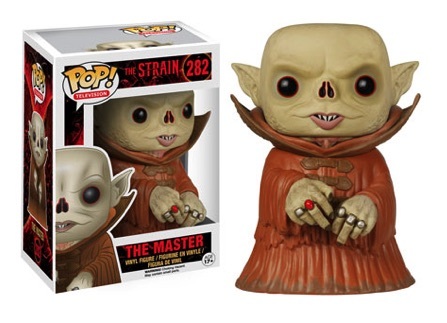 Covering the popular horror series on FX, The Strain, 2015 Funko Pop Strain Vinyl Figures include four subjects from the television show which centers around a world with vampires. Co-created by Guillermo del Toro and based on his book trilogy of the same name, the tv series began in 2014. Among the figures in the set, Dr. Ephraim Goodweather is a key character and the head of the Canary Team for the Center for Disease Control (CDC). Professor Abraham Setrakian is also featured with his trademark cane. The vampires are equally represented with The Master and Vaun. 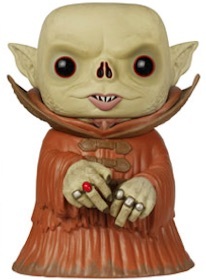 All the figures except for The Master come with an accessory. Although vampire plots are hardly unique at this point, The Strain manages to present things in a fresh way. This is why the show has enjoyed mostly positive feedback from critics and audiences alike. 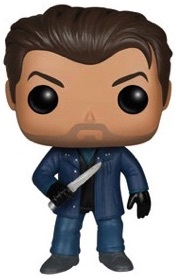 2015 Funko Pop Strain Vinyl Figures are numbered as part of the Pop! Television line and are the standard size at approximately 3-3/4 inches. 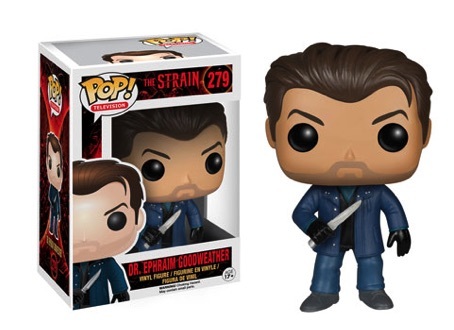 THE STRAIN POP! DR EPHRAIM GOODWEATHER #279 VINYL FIGURE FUNKO - PRE-ORDER! 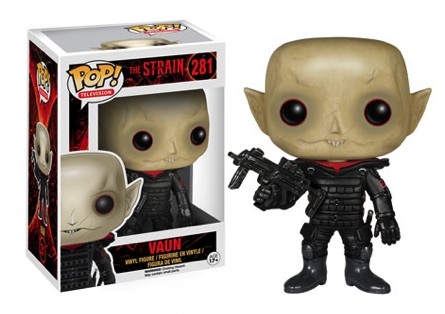 THE STRAIN POP! ABRAHAM SETRAKIAN #280 VINYL FIGURE FUNKO - PRE-ORDER! 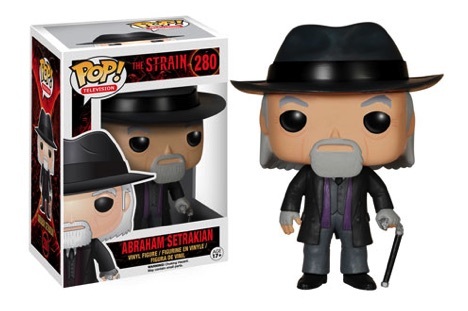 THE STRAIN POP! VAUN #281 VINYL FIGURE FUNKO - PRE-ORDER!